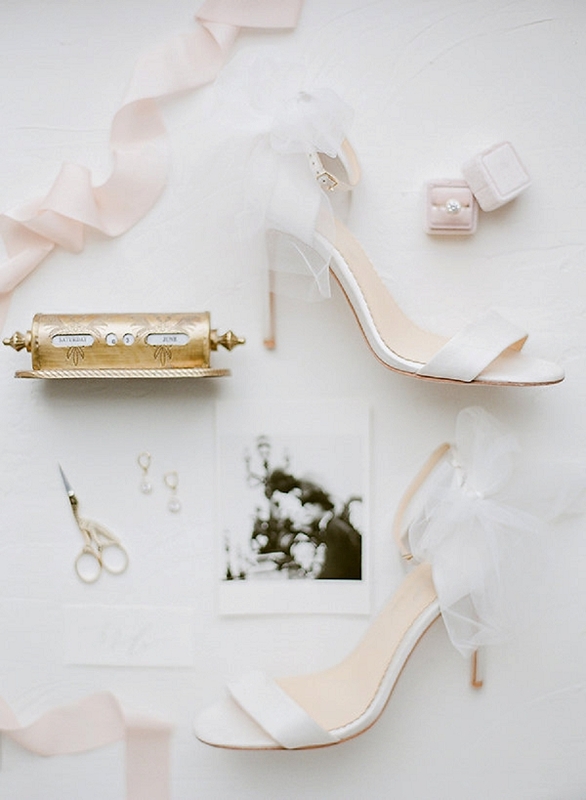 We love this interpretation of Parisian chic from Anna Grinets Photography – everything is soft, romantic and oh-so delicate from the lush, Spring blooms to even the bride’s Bella Belle shoes with their beautiful tulle detail. Proving that a ballroom reception doesn’t have to be over the top to convey a look of luxury, A Day In Provence styled a charming tablescape with vintage glassware, candles, an eye-catching floral centerpiece and place-settings fitted with individual calligraphy menus as a lovely finishing touch. Stunning! 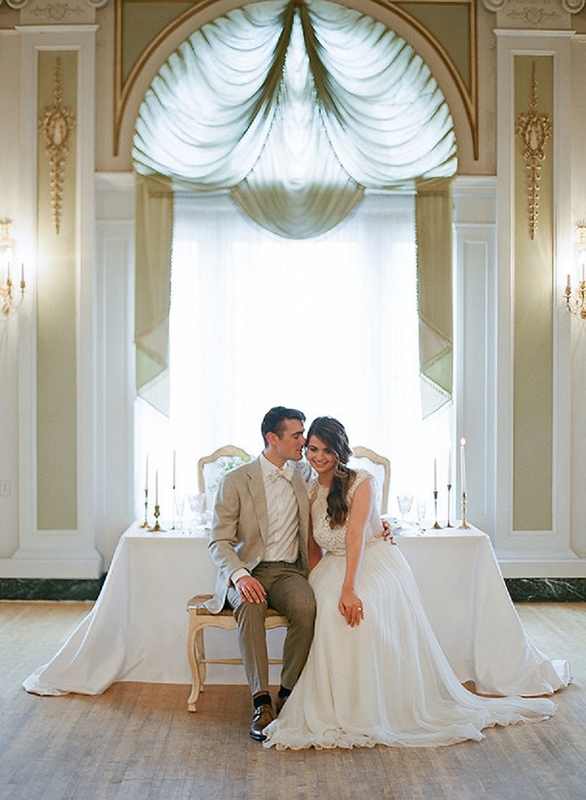 From Anna Grinets Photography: We set up our luxury wedding inspirational photo shoot at the historic Greysolon Ballroom, located on the beautiful Lake Superior in Duluth. 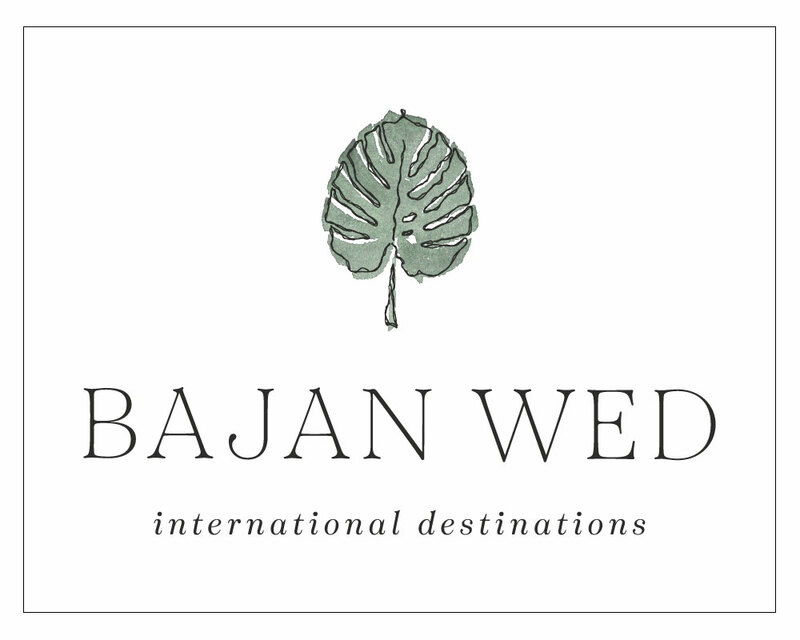 With close proximity to the lovely Twin Cities of Minneapolis and Saint Paul, this is a wonderful option for a wedding couple that appreciates the historic and one-of-a-kind experience. Built nearly a century ago, it serves as a gathering space, welcoming international couples, celebrities, royals, and politicians. President Kennedy and Crown Prince of Norway also have stayed at the lovely venue in northern Minnesota. 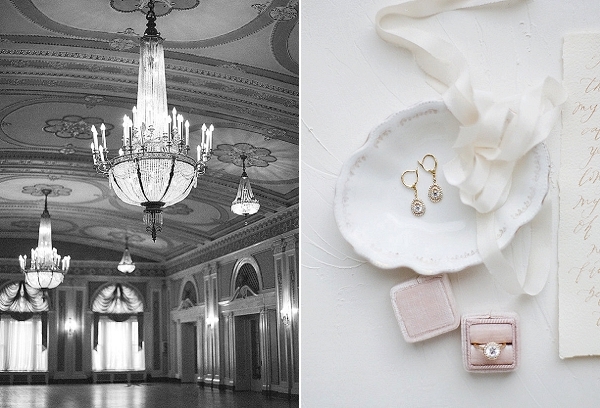 This excellent location caught our eye because its ballroom represents the feel of a Parisian salon room. The ballroom’s hand-painted gold leaf ceilings, magnificent chandeliers, mahogany finished woodwork and marble floors are breathtaking… all of these details are a wonderful choice for an elegant Parisian-themed wedding. Inspiration was beautifully pulled together by floral designer and stylist, Tara Bailie, with A Day in Provence, who has an eye for all things French and European. 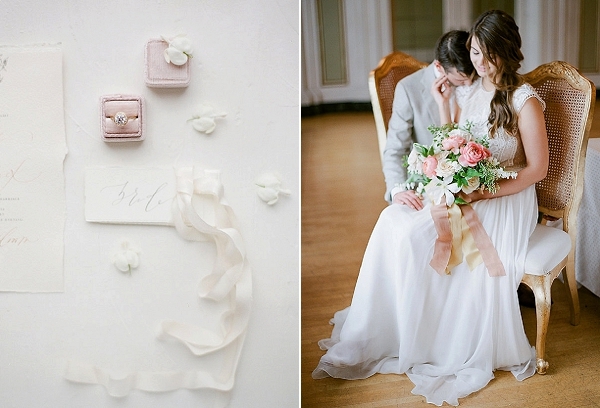 She chose varieties of white, blush, cream, mint, peach and hints of gold for the color palette. 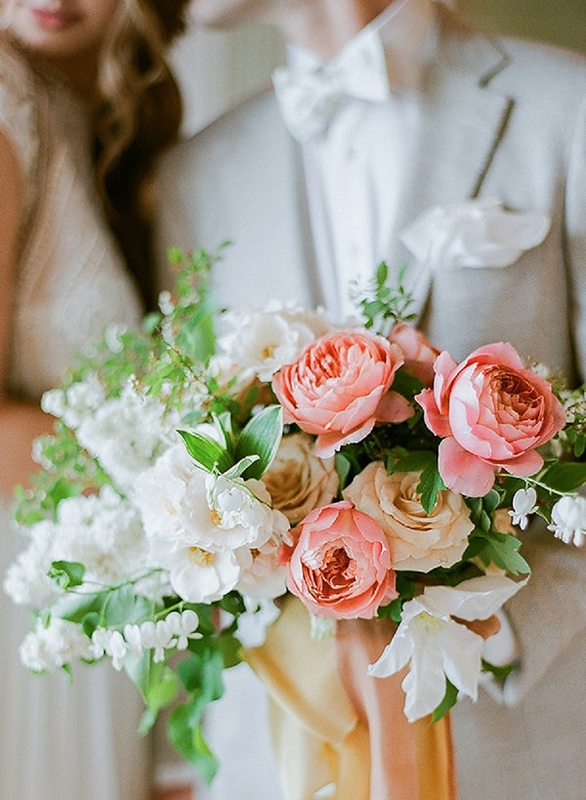 Stunning loose and romantic florals of cream English tea roses, mock orange, clematis, white bleeding heart with accents of peach and salmon colored garden roses are wonderful options for an elegant Parisian spring floral inspiration. Tara paid attention to the smallest details of the photo shoot. Her creative and work is done with excellency to the highest level. 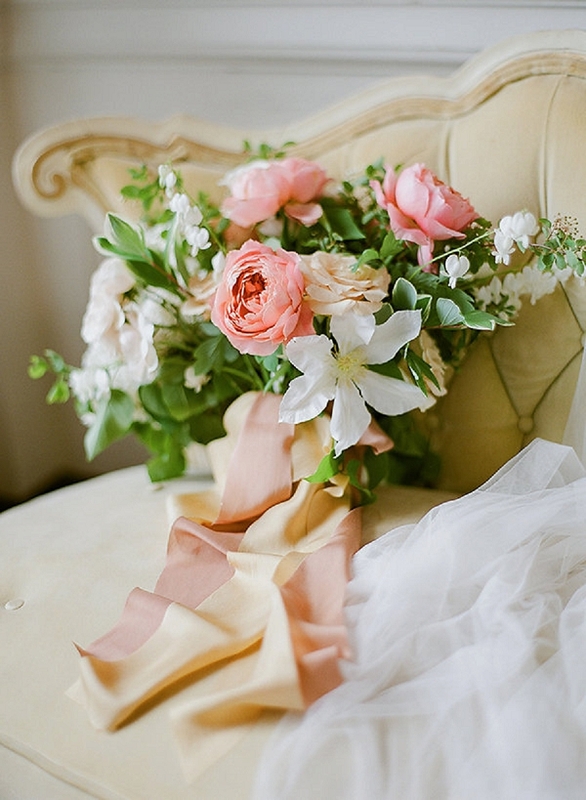 Hand-dyed silk ribbon by Shasta Bell is a beautiful complement to Tara’s romantic floral design. Derick Cich with Derick Cich Makeup Artistry, a New York Fashion Week published makeup artist, gave our model Lauren an effortless, romantic look with makeup in natural and soft tones. Veronica Klein, with VLK Cosmo, created a beautiful and romantic hairstyle. Veronica’s exceptional expertise and love for her skill shine though. 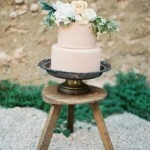 Antique French decor items from Rudy’s Event Rentals wonderfully fit in with our vintage Parisian theme. 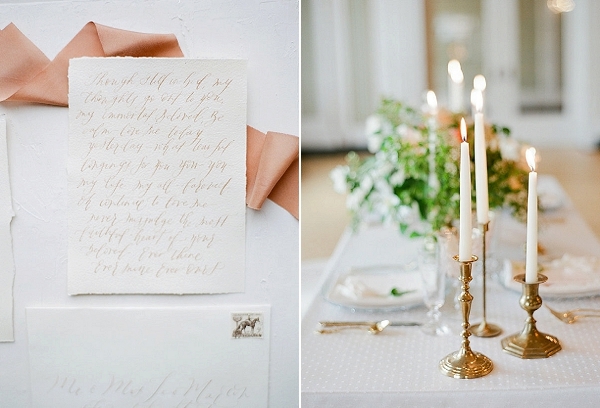 Beautiful gold chairs were set against the romantic tablescape. 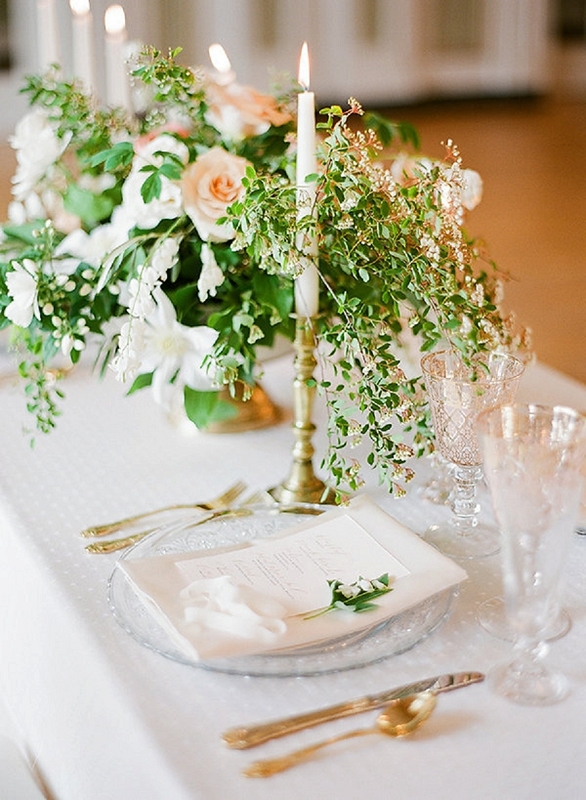 Lovely glassware from Rudy’s Event Rentals, gold flatware, beautiful clear charger plates, and table linens from Linen Effects are a wonderful choice to complement the floral center piece designed by Tara, and the surroundings of this historic venue. 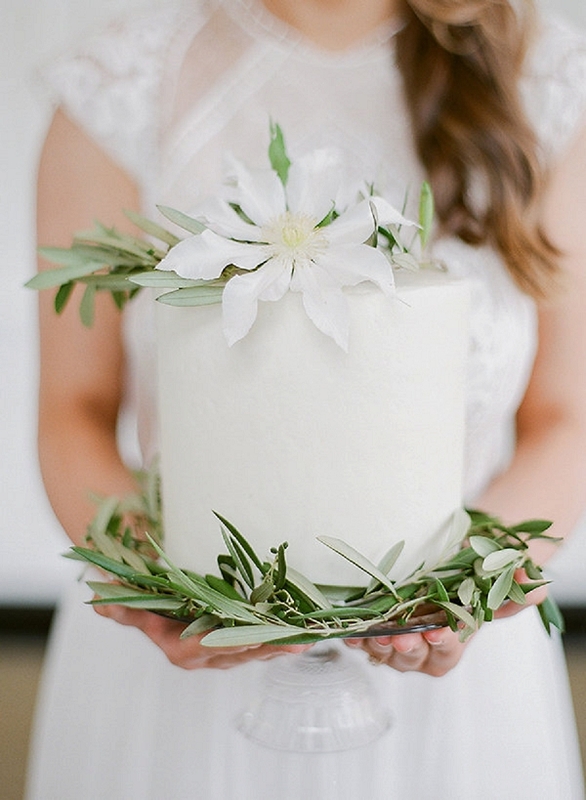 Amaris bridal gown in ivory by Divine Atelier from a&be Bridal Shop complements the simple, effortless and romantic look of a Parisian spring wedding. The intricate design details at the top of the gown add an antique look, a very valued feature in France. 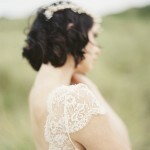 Headpiece by Hushed Commotion and earrings by Untamed Petals provide a whispering sparkle to the bride. 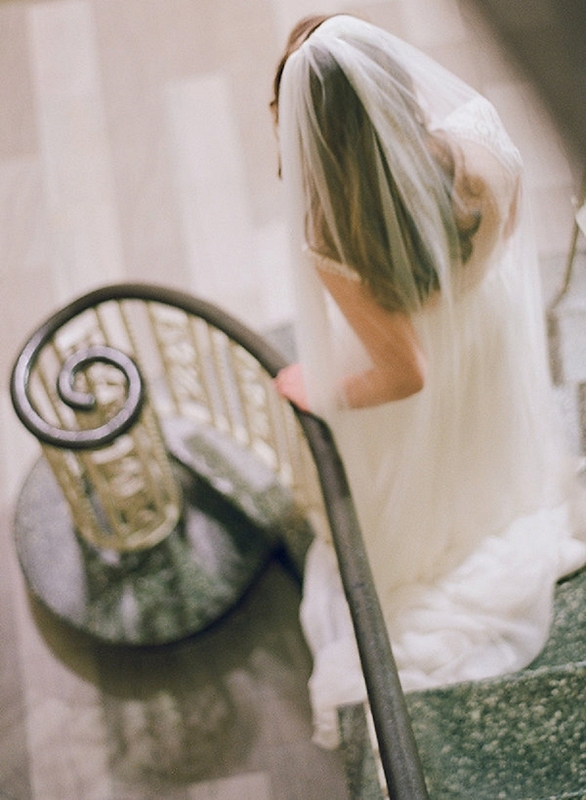 A long tulle veil by Sara Gabriel softly complements the bride’s look. Tulle detail on “Elise by Joy Proctor” handmade bridal shoes by Bella Belle‘s “Enchanted” bridal collection is a wonderful match for the gown. The classic skinny straps adorned with tulle bows provide lovely finishing touches. We chose a luxury silk robe from Flirt Boutique for the boudoir inspiration. A cream robe with gorgeous black lace sleeve detail… relaxed drape, finished off with a silk belt creates an effortless silhouette for elegant getting ready photos or a boudoir session. Luxury ISAIA Napoli suit in cream color from Martin Patrick 3 and men’s accessories on our model Abel, classically propose a handsome new alternative to a standard black tux. 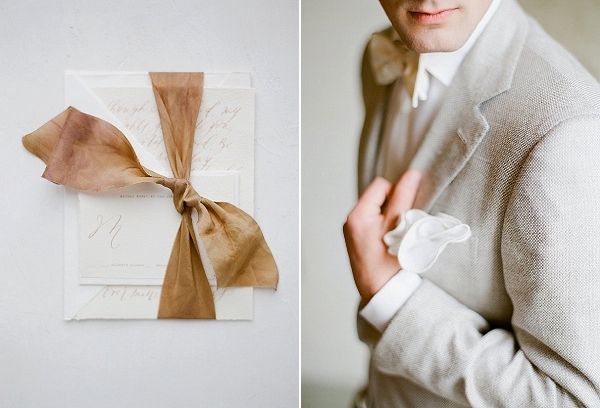 A white bow tie and pocket circle by Edward Armah add just the right amount of flair to the special look. Lovely cufflinks by Tateossian and Daniel Wellington watch are perfect details to the groom’s outfit. To complete the groom’s look, we recommend modern, handmade Italian brown leather strap shoes by To Boot New York. Hermes cologne features notes of orange, cedar, and fresh spices. Beautiful gold rings from JB Hudson are a stunning option for the couple that appreciates a delicate style. The engagement ring has an oval diamond center with halo design on the outside. 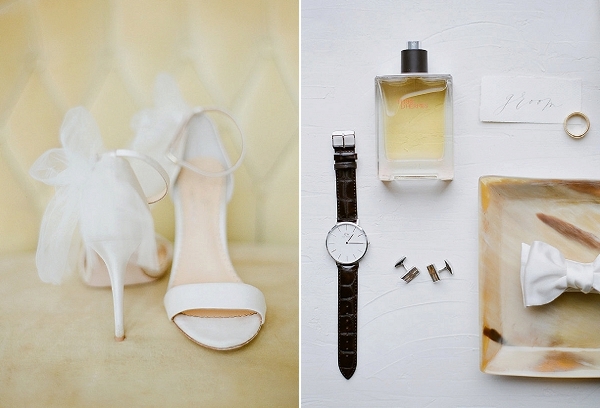 Tara styled the engagement ring by displaying it in a blush velvet ring box by The Mrs. Box, and also on top of the invitation. 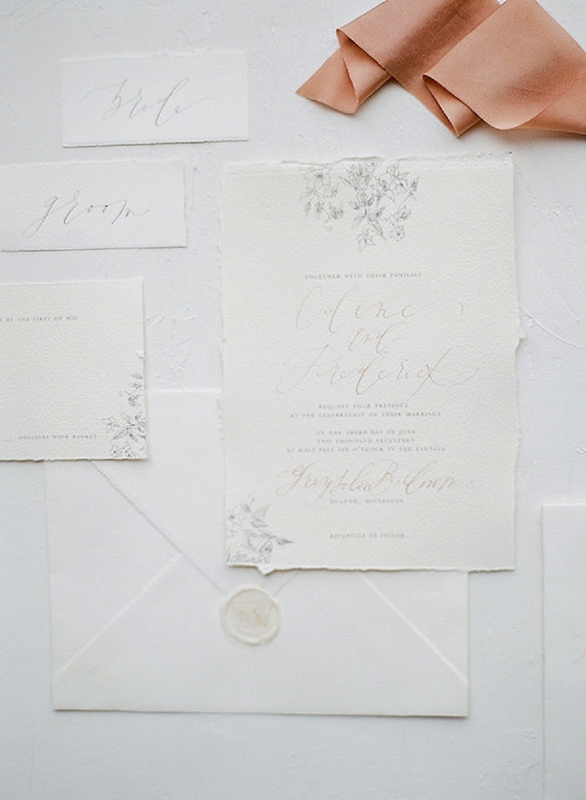 The invitation suite with deckled-edges by Kelsey Malie Calligraphy is a gorgeous complement to the French-inspired elegance. 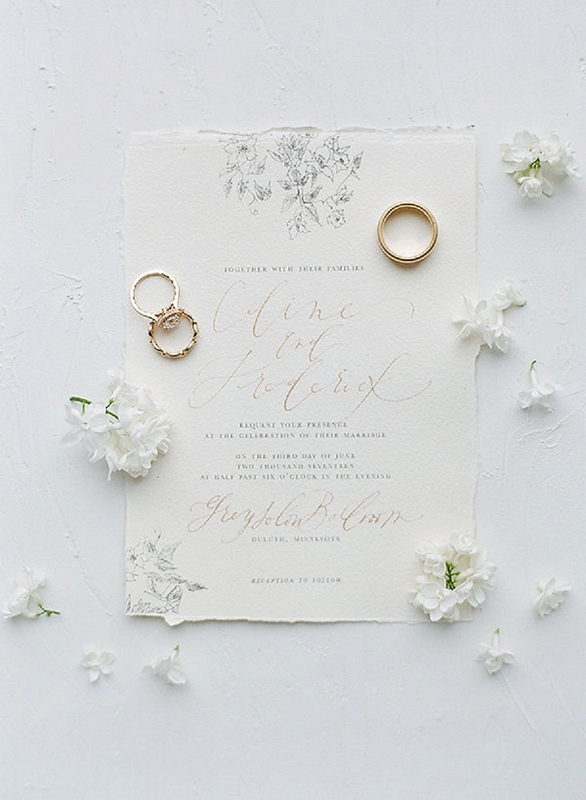 Kelsey designed a floral detail on the invitation to reflect springtime in Paris. 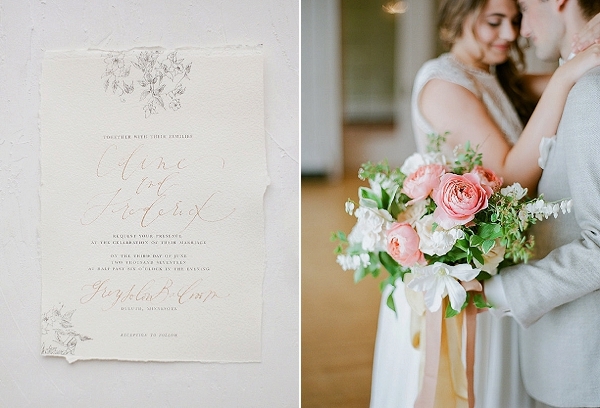 I captured the elegant looks in a light and romantic style, achieving this by using a medium format film camera, which helps my work to stand out and gives photos a beautiful softness. My photography, which has been featured in publications and magazines in the United States and Europe, focuses on documenting emotions and creating stylish imagery of the highest quality. Richard Photo Lab in California developed and scanned the film with perfection. Wow! This is great! Loved the images too!